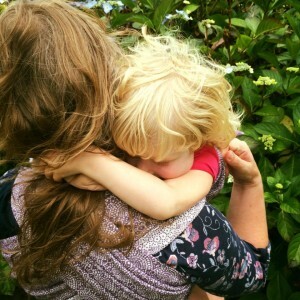 Secure Attachment and the "Fourth Trimester"
Secure attachment is the deep and enduring emotional bond that connects one person to another across time and space; a “lasting psychological connectedness between human beings” (Bowlby/Ainsworth). Secure attachment to other people is vital to human health and wellness; we thrive on relationship, on belonging. Such healthy attachments are the bedrock to future positive mental health and enjoyable relationships. However, Sutton Trust research shows that 40% of children lack secure attachments; instead they display insecure-ambivalent, insecure-avoidant or disorganized/disoriented attachment, and are significantly disadvantaged, especially those growing up in poverty. Research shows that one of the strongest predictors for insecure attachments in children is to have a parent who lacks secure attachment themselves. 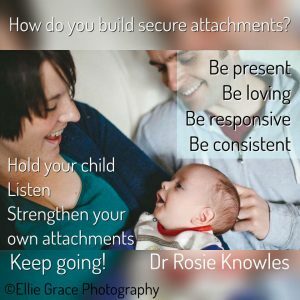 So, how do you build a secure attachment relationship with your child? 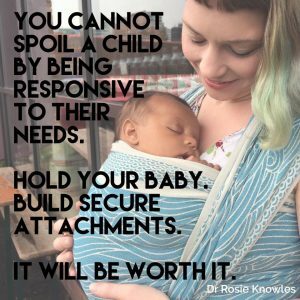 Secure attachment is created by loving responsiveness to your child’s needs. It is not about your parenting style. 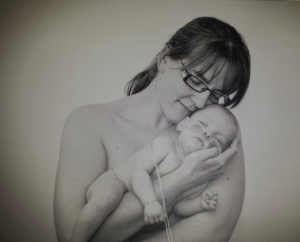 Your baby may sleep in a crib or your bed, be fed from a breast or a bottle, be held in arms or a sling, be weaned in any style, be brought up by any combination of carer and still have secure attachments. It is not about subscribing to a particular parenting philosophy. You do not have to sacrifice everything – your identity, your sanity, your relationship, your job, your money or anything else at the “altar of childhood”. 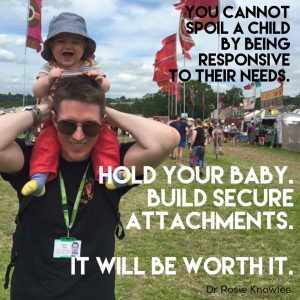 Building secure attachment is about having respect for a child’s personhood, building their sense of self-worth within a consistent, loving and responsible relationship, regardless of their age or understanding. Your child’s humanity is as valuable as your own; neither more nor less. You are your child’s advocate in the world and their greatest defender. You can provide for their every need, and they depend entirely on you and your surrounding network. They will learn whether or not they matter from how they are treated and how their requests for support are met. Securely attached children are confident that they will be cared for, and that any distress will be met by love. They are easily soothed by their caregiver when upset, are more able to be self-reliant, form positive relationships and generally have smoother paths through life. However, their needs need to be balanced with that of the family, as a crumbling family dynamic will ultimately not be in anyone’s best interests. The “fourth trimester” is where attachments begin to form. Theories regarding the size of the infant cranium, the shape of the upright human maternal pelvis, and the limits of the mother’s metabolic energy provision for growth all discuss why human babies are born at a stage where they are still very vulnerable. This is in contrast to many other species where a young animal will be able to walk after its mother within hours of birth, or sleep in a hidden nest. To survive, a human baby needs to be held and carried around by his carers, fed and kept warm or he will die. To thrive, a baby also needs love and secure attachment. The ‘fourth trimester” is the period immediately after birth, a few more months of intense nurturing to allow a baby to continue with their essential development from a place of security and safety. A baby who has spent all their life growing peacefully in the womb, gently compressed by uterine walls at the end of the third trimester, will find the sensation being born, followed by freedom and open space in the outside world enormously different. Limbs that have been limited are suddenly free to stretch wide, darkness has turned to light, the muffled gentle rhythmic sounds of the mother’s body have been replaced by loud, unfamiliar noises or deep silence. Constant gentle motion has turned into complete stillness or sudden movements. No wonder that when babies are held close, rocked and soothed, contained in soft boundaries once more, that they settle; this feels right and familiar. 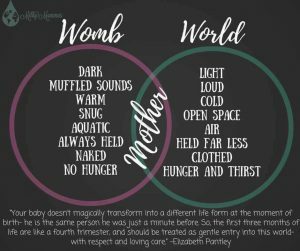 The “fourth trimester” is all about gentle transitioning from the peace and stability of the womb towards active involvement in a new world. A newborn needs to be supported to gain skills and strength at a steady, individual pace from the security of an unshakeable foundation and place of comfort and familiarity. Being held, close to familiar noises and scents is essential to development and positive learning; the infant brain is growing rapidly and forming new connections all the time. Connections that are reinforced frequently will persist into later life, whereas those that are rarely used will wither away. It is worth taking the time to ensure that these unconsciously forming connections are positive ones. Young infants do not have the cognitive development to behave in “manipulative” ways; but they do learn to trust someone who proves reliable time and again as these pathways are reinforced. They will be startled and upset when this love is withdrawn. If you are sensitive and responsive to your baby as they begin to communicate their needs with you (by crying, wriggling, yawning etc) they will learn that they matter to someone. If they are uncomfortable, the people they are learning to trust will soothe them. When they are hungry, they will be fed, when they are tired, they will feel secure enough to sink into sleep. They will not be frequently left alone unattended for long periods of time, and will not be left to exhaust themselves in calling for someone who never comes. When they cry, loving arms will be there to comfort and keep them safe. These same arms will show them the world and provide a safe place that facilitates learning. Carrying matters; babies need it. 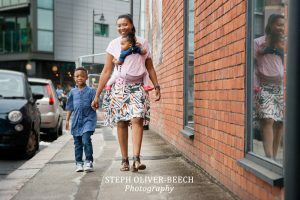 It does not make them clingy, rather, the solid foundation of secure attachment relationships will be the springboard to confident independence later in life. One tool that can help you meet your child’s need for loving contact in these early months is a soft carrier that holds them in a comfortable, safe and anatomically respectful position. Such carriers will help you to meet their needs to be close to you while allowing you to be hands-free for daily life. There are many other positive reasons to carry a child; such as reduced crying, reduced plagiocephaly and more. Parents benefit too, for example carrying can be helpful for those with postnatal depression, and increase overall activity levels. This idea is not new; most of the world’s families across history and cultures have used some form of sling to make life work. You can find out more from your local sling library or consultant; there are hundreds across the UK. They will help you to find the right type of carrier for your needs. What about my older child? Attachment relationships continue to form beyond the early months and children’s brains are very “plastic”. Warm, responsive, emotionally available parenting will help to build a child’s sense of self-worth at any age. There is evidence that “mind-minded” parents (ie those who treat their children as intelligent, relational individuals with feelings, and speaking to them in such a way) seem to have children with more secure attachments. Active play and laughter, as well as consistent loving boundaries help to reinforce neural connections that the primary caregivers are a reliable source of security; forming strong foundations for the future. Read more about how carrying can help the learning brain.